Public involvement is an integral part of the National Environmental Policy Act (NEPA) process. The U.S. Army Corps of Engineers (Corps) takes a proactive approach to inform and involve the public, resource agencies, industry, local government, and other interested parties about proposed projects. The Corps involves the public and invites participation through information workshops, stakeholder meetings and other outreach efforts, such as public notices, newsletters, and maintenance of the project website. 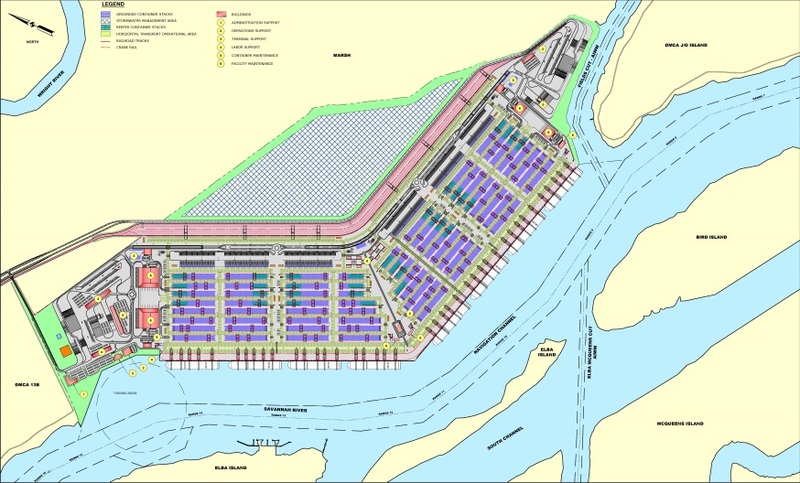 Public views and concerns expressed throughout the NEPA process for the proposed Jasper Ocean Terminal (JOT) will be considered during the preparation of the Draft and Final Environmental Impact Statements (Draft EIS and Final EIS, respectively). Public comments will be used to help develop reasonable and practicable alternatives, identify significant resources, evaluate potential impacts of the various alternatives, and identify the least environmentally damaging practicable alternative (LEDPA) that would avoid or minimize impacts to navigable waters and other waters of the U.S.
Scoping: The Corps plans to hold an information workshop and a public scoping during the first quarter of 2017. At this meeting, the Corps and the JOT Joint Venture will provide additional information about the proposed JOT, as well as the NEPA process. The purpose of this meeting will be to solicit public comments about the proposed JOT. Written and verbal comments will be documented in the JOT Scoping Report. Community Meetings: The Corps anticipates holding several Community Meetings during the preparation of the JOT EIS to allow for open and informal discussion between members of the community, interested parties, and the Project Team, which includes the Corps, the JOT Joint Venture, and the third-party consultant (Atkins) preparing the EIS. Information will be presented on posters and the Project Team will be available to discuss the Proposed Project and answer any questions. Draft EIS: The Corps will hold a public hearing to collect comments from stakeholders on the Draft EIS. The public will be invited to attend and submit oral or written comments on the Draft EIS. Final EIS: When the Final EIS is made public, the Corps will notify the public and make copies available to local repositories and upload to this project website. To receive automatic updates, please sign up to be included on the mailing list.